A beautiful mauve and rose rock caught my eye as I stumbled across the red desert dirt. I bent down and picked it up. Jagged edges stood out like little mountains on three surfaces, while smooth swirls of color danced across the stone. I couldn’t toss it—it reminded me of the rock formations trapped inside the petrified logs at the nearby Petrified Forest National park. I rolled the rock absently in my fingers and swiped the tears from my eyes with my other hand. Grief, uncertainty and sorrow scuttled around my heart in an epic sword fight for my attention and emotions. I had a dear friend in crisis and once again I felt helpless, cut off and worried to death. My lips formed incoherent prayers as I rambled along the dirt road. The sharp edges of the rock kept me somewhat distracted, and my thoughts took off like a jackrabbit. If only I knew how to cut rocks and had a rock polisher, I could turn this little rock into something really beautiful! Another rock caught my eye as I crested a steep hill. It looked as if it had already spent time under the cutter and in the polisher. Its smooth oval surface had stripes of silvery gray alternating with opaque white and buff. Of course, I had to pick it up and brush off the dried red mud that clung to it. What a beauty! Two rocks—both at different stages, but equally beautiful. The smooth rock had served its time in life’s tumbler and polisher—the forces of nature had born upon it until the rough places had worn down. It had suffered abrasion and friction and constant tumbling until it came out smooth and beautiful. The other rock had started out a mineral in a fallen tree. It, too had suffered compression and change and had come out beautiful—different, but beautiful. And then it hit me. I cannot smooth out the rough edges of my beautiful mauve and rose rock. That job belongs to the Master Stonecutter. He sees the beauty and the potential and he knows exactly what tumbles in life and forces must bear down on the rock to turn it into exactly what it was meant to be. So it must be with my dear friend, as well. 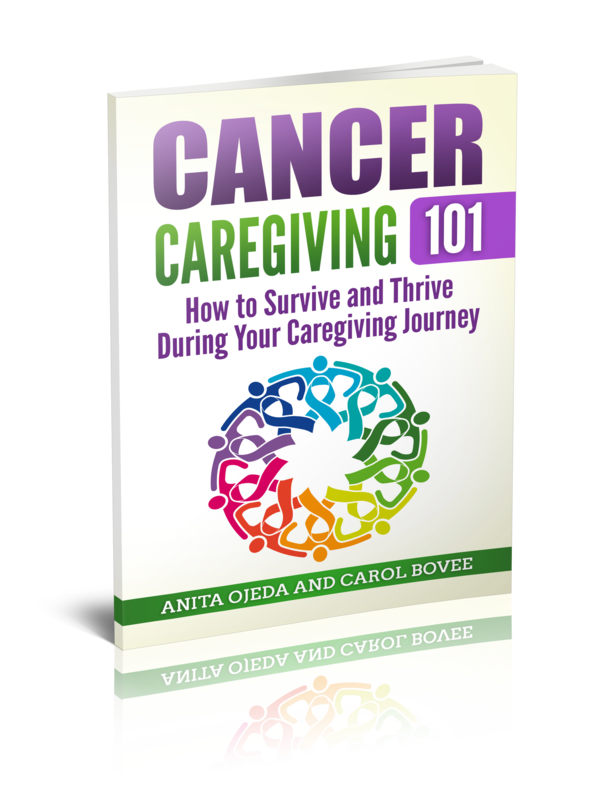 I am not the curegiver, I can only act as a caregiver. 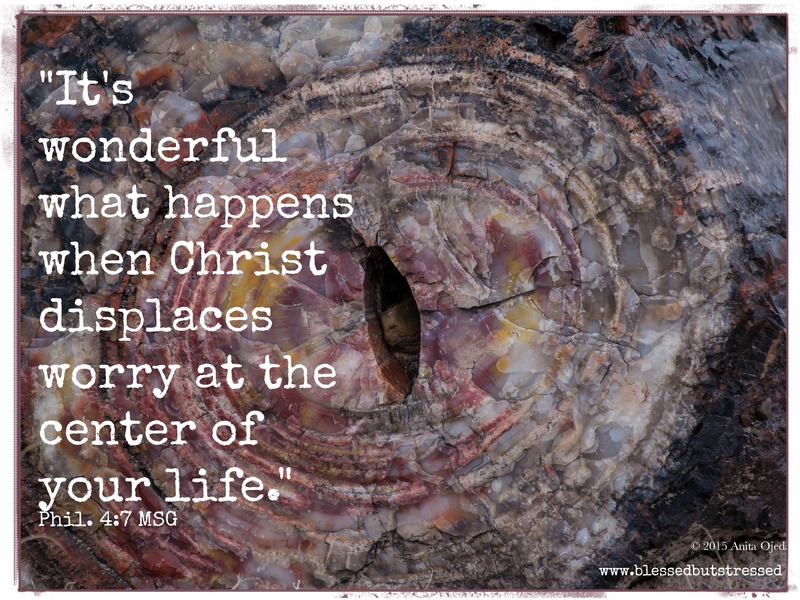 Click To TweetI don’t know what to do, but I can let Christ work in me to displace worry at the center of my heart. Each time I worry and fret and stress over my friend, I can choose to turn my incoherent overly active imagination into a prayer. I can praise God and petition him, and he will shape my prayers and guide my tongue and my actions and gently remind me that he is in the business of curing—and I am in the business of caring. Who would have thought that God could use two rocks to teach me a lesson in faith? It shouldn’t surprise me, I suppose. He is God and I am not. What about you? Are you struggling place your faith in God right now? How do you cope with worry?